Sometimes the scope to expand is limited and it maybe that extra space could be achieved through the clever use of knocking through internal walls and the redesign of the internal space. We have completed a number of design changes to internal layouts that have proved successful and given the owners of the houses exactly what they wanted. Why not call us to discuss your options for expansion using this technique. Let our experts decide on the best way to deal with that awkward design to create that special living area. This service is ideal if you would like to transform 2 rooms into 1. 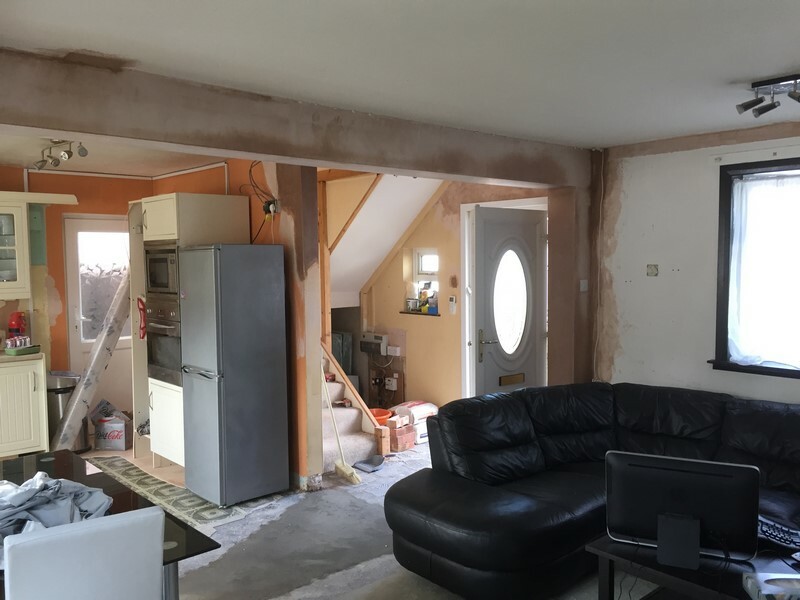 We carry out this service to our customers, both domestic and commercial that can see that it is more beneficial to have one big room rather than not being able to do anything with the 2 small rooms that they have. Knocking through a normal wall can be an easy process. Contact Milbarn Construction today if you would like this service. We can take a look at the 2 rooms you have and see what action needs to be taken. Once the wall has been removed, you have the option of maybe adding bi-fold doors so that the room can still be closed off but you can still see through each side. This is ideal if you are turning the big room into a lounge/diner as the doors can be opened up if you are entertaining and then closed when you are not.